Frankie Goes to Hollywood were a British band popular in the 80s. The group was fronted by Holly Johnson (vocals), with Paul Rutherford (vocals, keyboards), Peter Gill (drums, percussion), Mark O’Toole (bass guitar), and Brian Nash (guitar).The group’s debut single “Relax” was banned by the BBC in 1984 while at number six in the charts and subsequently topped the UK singles chart for five consecutive weeks, going on to enjoy prolonged chart success throughout that year and ultimately becoming the seventh best-selling UK single of all time. It also won the 1985 Brit Award for Best British Single. After the follow-up success of “Two Tribes” and “The Power of Love,” the group became only the second act (after Gerry & the Pacemakers) in the history of the UK charts to reach number one with their first three singles. In 1985, Frankie Goes to Hollywood won the Brit Award for Best British Newcomer, and the band also received Grammy Award and MTV Video Music Award nominations for Best New Artist. “Relax” was released by ZTT in October 1983 and got a modicum of airplay, allowing it steady progress into the UK Top 40. Following a debut on the BBC’s Top of the Pops on 5 January 1984 while at number 35, the single rose to number six in the charts the following week. On 11 January 1984, BBC Radio 1 disc jockey Mike Read was playing the record on his show when he noticed the front cover design (by Yvonne Gilbert). Read apparently became outraged by the “overtly sexual” nature of both the record sleeve and the printed lyrics, which prompted him to remove the disc from the turntable live on air, branding it “obscene.” Two days later – almost three months after the single’s initial release, and just eight days after the group’s Top of the Pops appearance – the BBC banned the record from all its TV and radio outlets, with the exception of its Top 40 show. “Relax” immediately shot to Number One in the UK charts and stayed there for five weeks, during which time the BBC could not feature the nation’s best-selling single on Top of the Pops. “Relax” remained in the charts when the follow-up, “Two Tribes,” was released in May 1984. The anti-conflict song was given an aggressively topical nuclear war slant. Featuring sirens, the unmistakable voice of Patrick Allen (who had voiced the British Government’s actual nuclear warning ads, Protect and Survive, two years earlier) and another innovative electronic backing, it went straight into the UK charts at Number One and stayed there for nine weeks (the first single to do so since John Travolta and Olivia Newton-John’s “You’re the One That I Want” in 1978), with total sales exceeding 1.5 million copies and becoming one of the top 30 best-selling records in the UK ever. 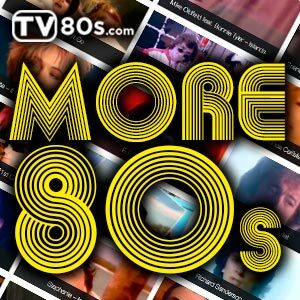 Frankie Goes to Hollywood released a third single, “The Power of Love,” at the end of 1984. Unlike the earlier singles, this song was a slower-paced ballad, but it also went to Number One in December and making the band the first act for two decades (since Gerry & the Pacemakers, a fellow Liverpool band, in 1963) to achieve chart-toppers with its first three releases. The video was not banned on this occasion but still caused trouble for the group – because it depicted a nativity scene (and on its first showing did not feature any members of the band, who were subsequently added as picture framing). 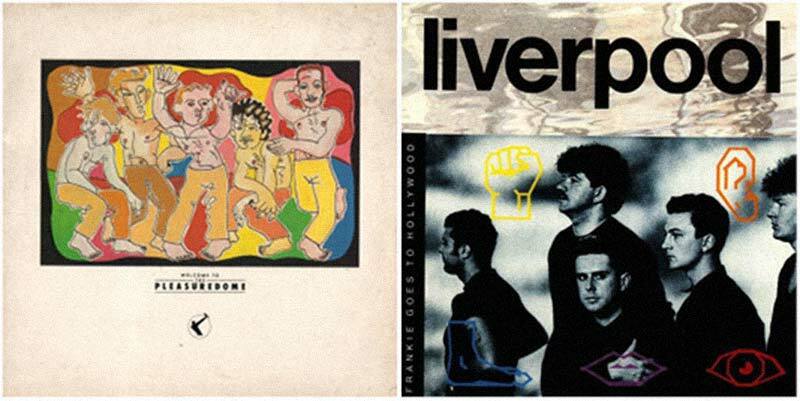 The title track from Frankie Goes to Hollywood’s album, “Welcome to the Pleasuredome,” was released as a fourth single in March 1985. Early promotional posters for the single proclaimed it as “their fourth number one,” even prior to the single’s release. The single peaked at Number 2, leading to preemptive claims that the band was now on the decline. The twelve inches were noted for their long Greek mythology/Samuel Taylor Coleridge spoken introduction by Geoffrey Palmer. Only one sole new track appeared in the next eighteen months; “Disneyland,” was released on the ZTT Records “Zang Tuum Tumb Sampled” album in late 1985. In the aftermath of the group split, Johnson was offered a solo recording agreement with MCA Records. However, ZTT, which maintained they had invested heavily in Liverpool (to the extent that the digital recording system used to record the album was very nearly treated as a sixth member of the band on the sleeve of the “Warriors of the Wasteland” single), had other ideas, and promptly sued Johnson in an attempt to hold him to his original contract with the label. Among other things, ZTT believed that as a departing member of Frankie Goes to Hollywood, Johnson was required to release all solo material through the label until the band’s original multiple-album agreement was fulfilled. The suit was bitterly fought, exposing the inner workings of the ZTT/Frankie machine to a giddy UK music press. After two years, the High Court found in Johnson’s favour, holding that the highly restrictive terms of the contract constituted an unreasonable restraint of trade. The result of the court case, which also effectively freed the remaining members of Frankie Goes to Hollywood from their ZTT contract, became famous as an unprecedented victory for the artist over their corporate paymasters.